As most people are well aware, the prices of college textbooks are increasing at a staggering rate. Most students pay anywhere from $300 to $900 per term for their textbooks. That’s just not right! Something must be done to change this! The good news is that there are various affordable alternatives to regular textbooks, and more are being created every day. 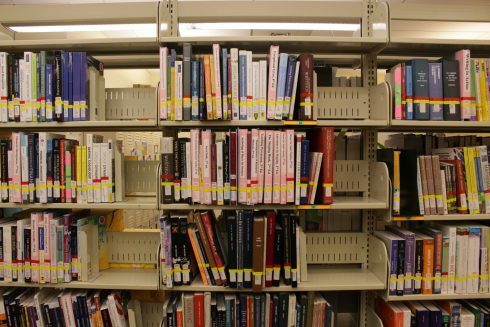 These include open-source textbooks, e-books, textbook rental, sharing programs and more. OSPIRG (Oregon Student Public Interest Group) is putting on an event called The Textbook Rebellion to raise awareness about high textbooks prices and about the available solutions. The event will be held on Tuesday, Oct. 4, from 11 a.m. to 3 p.m., in the Stevenson Union Courtyard in the front of the bookstore. Since the high cost of textbooks is an issue that affects all students, all of us should join the fight for solutions to this problem! We hope you are having a great start to fall term! It has been an amazing experience to witness the transition from the relatively quiet summer to the immense energy that SOU community members bring to campus when the school year begins. We have especially enjoyed meeting the new students this year, as they continue to add a diverse perspective and fresh ideas to our campus. We want to first thank you for this opportunity to serve you as the Student Body President and Vice President. We are so excited to continue learning and teaching others how we can use our power as students in order to collaborate to make positive change on campus. 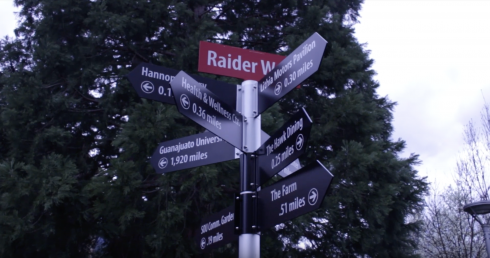 We strive to make improvements, support student and university initiatives, and continue to promote SOU’s strengths as a university, so that students have a great experience during their time here. We know that, along with many victories, ASSOU has had its challenges, but we are extremely optimistic that this year will be one of the most exciting and productive yet. This summer, ASSOU summer staff worked hard on many projects including collaborating with Student Life to plan the Raider Leadership Academy (a leadership program for incoming students), partnering with Student Affairs to explore the feasibility of building a new student recreation center on campus, improve textbook affordability on campus, representing SOU at the United States Student Association Congress, re-designing SOU’s Events Planning and Involvement Committee to improve events on campus, working on plans for various sustainability projects for the upcoming school year, finding ways to strengthening ASSOU’s procedures and efficiency, and many more. Moving forward into fall, we have come together as an organization to identify forty projects that ASSOU would be a part of this year, including such projects as making plans for a possible new student recreation center, deciding whether to renew the green tag fee to offset our energy consumption, making sure that students have access to the tutoring and other academic support that is needed, assessing the amount of the student fee and ways to make the process more effective, enhancing the work of various campus resources like disability resources and the Multicultural Resource Center, fostering global curiosity while supporting local efforts, increasing access to study spaces for students, looking at more effective means of transportation for students, and much more. We have posted a survey with these forty issues on our website, assou.net, in order to obtain campus input about what ASSOU’s priorities should be for the year. We are really looking forward to this year, and we will strive to represent the needs of the ASSOU community the best that we can. If you ever need assistance, would like to volunteer with us, have a comment or a question, or would like to chat, please visit our website or visit us in person in the Sours Leadership Center on the top floor of the Stevenson Union. We have tons of resources and opportunities available to all members of the SOU community. We hope you have a great start to the 2011-2012 year!